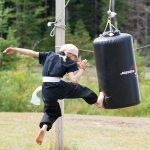 Temple Knights offers a variety of Martial Arts Camps & Retreats for adults and children in beautiful Muskoka, Ontario, Canada. 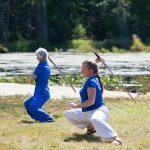 We have many options to choose from: Kung Fu Power Camp, Kung Fu & Tai Chi Camp, Kids Kung Fu Camp, Secrets of the Master’s Tai Chi & Chi Kung Camp, Women’s Wellness Weekend, Eco Camping, Solitude Retreat. Day Camps run 9 – 4 p.m. daily. Join us for a peaceful meditation by Dragonfly Pond or challenge yourself by going through our Kung Fu obstacle course designed to improve agility, strength & power. 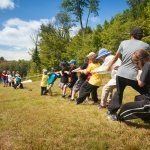 Many of our Camps and Retreats include special guest instructors and workshops. Sifu Janna Clarke will be teaching Fan. Lori Ross, mother of two of the participants. Temple Knights is a sanctuary in the heart of Muskoka created for peace of mind, strengthening of the body, and nourishment of the spirit. 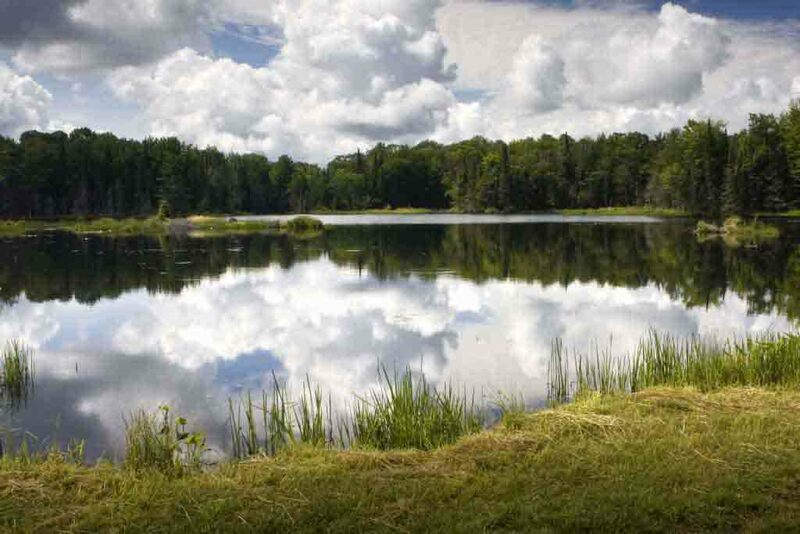 Located on 170 acres of beautiful Canadian pre-cambrian shield – the oldest exposed bedrock in the world! 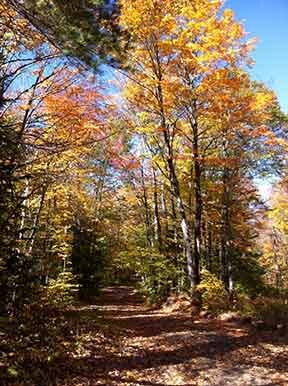 Our retreat and campground is located 10 kil. 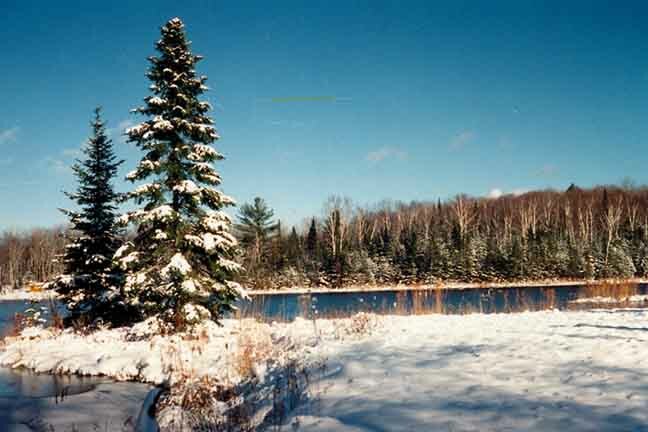 east of Hwy. 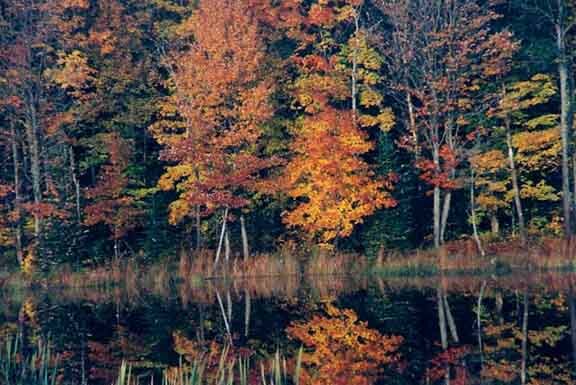 11 (near Baysville) with a private spring-fed pond and an abundance of wildlife. Temple Knights offers a unique experience like no other for personal growth in the natural serenity of forest, stone and water. Join us for the adventure this year! Develop confidence, respect, self defense skills, mind/body coordination, focus, balance. Explore the Five Animals – Tiger , Leopard, Dragon, Crane, Snake. Build strength. Fun and challenging obstacle course. 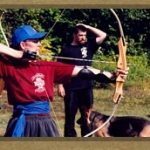 Archery, Kung fu games, self discovery, leadership skills development, overcome challenges. Be the Best you can be! Join us for the adventure, have fun and make new friends! Ninja training! 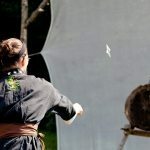 Day Camp runs 9 – 4 p.m.
Saturday August 18thth, Friendly Tournament and Family Potluck BBQ with Awards, demos and games. Family and Friends welcome! Click for Kids Kung Fu Camp dates and registration information. 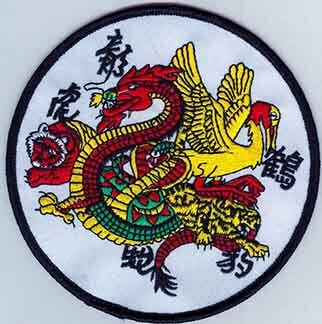 Traditional Kung Fu Training – Five Animals – Tiger, Leopard, Dragon, Crane & Snake, ninja and stealth training. Featured weapons: Sword (Chinese and Japanese styles), shurikens (throwing stars), staff – Bo, Nunchuks, Spear and archery. 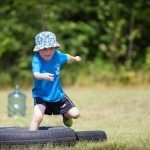 A challenging obstacle course to test your abilities. Dynamic training methods that will ignite your passion for Kung Fu and teach you effective self defense techniques. Opportunity to cross train with internal styles like Tai Chi & Qigong. Traditional Kung Fu training for health, fitness and self defense is available at Temple Knights Camp. Developing strength, endurance, speed, courage and power. Learn about the 5 Animal Styles: Dragon cultivates spirit, Crane trains the sinews, Snake cultivates chi, Tiger trains the bones and Leopard develops strength. The human body is a combination of hard and soft elements and for optimum results your training should reflect that in its practice. As the Yin/Yang symbol demonstrates a synthesis of hard and soft, internal and external, substantial and insubstantial all reveal important lessons. 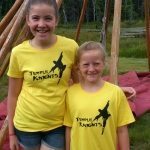 Opportunities for practicing both internal and external forms are available at Temple Knights Camps. Each day begins with a 30 minute meditation by the beautiful Dragonfly Pond. Listen to the silence and detoxify your mind. 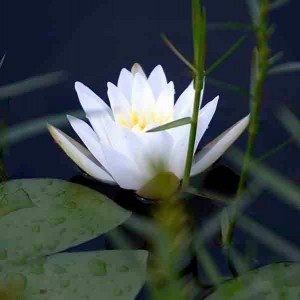 Some of the meditation techniques practiced during the week include Microcosmic Circuit and the Nine Gates, all of which help you to focus, direct your energy and cultivate peace of mind. During the daily lessons or while sitting by the fire, plan on having interesting and mind-opening discussions on a variety of topics such as the Yin/Yang, chi, Fire Element which is in accordance with the Chinese Five Element Health System. Learn about the associated organs, meridians, diet, color, healing sound and exercises that go with the Fire Element for summer. You can also learn some of the movements of the dynamic Dragon form which is the style associated with the Fire Element. 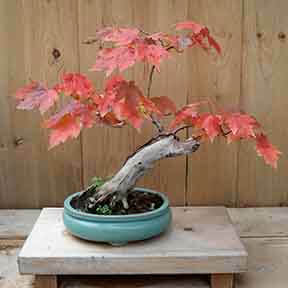 Visit Sigung John’s Bonsai Nursery, take a nature walk, or canoe on Dragon fly Pond or take a sail in Lake of Bays. Please register with a deposit or full payment as soon as possible to ensure your space. Sponsorship and scholarship programs available for those who qualify. Register for the week or day, cabin or campsite options. 10% family discount for those that qualify. Family Packages also available. Click for Kung Fu Power Camp dates and registration. Part of each morning revolves around the graceful and healing art of Tai Chi – Yang style. Beginners will benefit from one on one instruction in learning the choreography of the movements as well as the principles of rooting, centering, aligning and relaxing. Advanced practitioners will benefit from more detailed refinements and a deeper exploration into the self defense applications of the form. An excellent way to unite mind, body, spirit and balance your energy. Great Group Energy. Boost your Chi! Practice Chi Kung (energy work) where it is rich with oxygen! Many styles are taught involving breath, sound, and postures for the cultivation, accumulation and circulation of chi or life force energy. 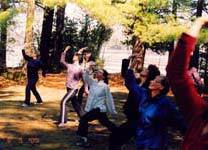 Click for Tai Chi and Chi Kung Camp dates and registration. & bonding with a very special group of women! Gratuity is extra. It is suggested between $10-$20 per person for the entire stay (not each meal) which is given to the event manager who will split the tips between all who worked serving/preparing meals for the retreat. Register asap or no later than April 20th. Visa, Mastercard, Cheque or cash. If you would like to organize a Women’s wellness Weekend in your area please let us know. 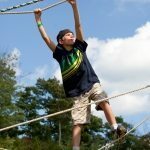 Days Camps run 9 – 4 p.m. Participants begin each morning with a 30 minute meditation.Listen to the silence. A quieting of the mind designed for clarity, focus and inner peace. Detoxify and purify your thoughts. Meditation techniques include Microcosmic Circuit and the Nine Gates. Practice Chi Kung (energy work) where it is rich with oxygen! Many styles are taught involving breath, sound, and postures for the cultivation, accumulation and circulation of chi or life force energy. Good flowing chi is the secret to excellent health! Some of the forms practiced are thousands of years old and include The Eight Pieces of Silk Brocade, Lohan, Tai Chi Chi Kung, and the Ho Shu Ying Set. 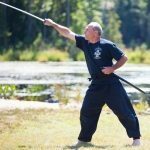 Techniques and exercises develop internal power for healing and martial arts. Weapons practice is an integral part of Tai Chi study. 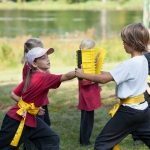 Camp offers opportunities with qualified teachers to study Tai Chi Sword, Sabre, Fan, Staff, Butterfly Swords & Nunchucks with their applications. 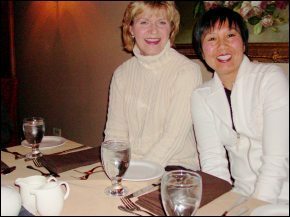 During the daily instruction or while sitting by the fire, plan on having interesting and mind-opening discussion on a variety of topics such as Yin & Yang, chi, and the Five Elements Health System. Learn about summer’s Fire Element and its associated organs, meridians, diet, colour, healing sound and more. You can also learn some of the dynamic Dragon Style which is the form associated with the Fire Element. Spiritual questions are always welcome. The opportunity to do some Kung Fu cross-training is also available. Please check Kung Fu camp above for more information. Part of each morning revolves around the graceful and healing art of Tai Chi – Yang style. This moving meditation cultivates chi, boosts the immune system, reduces tension, and brings a sense of peace and tranquility. Tai Chi mobilizes every muscle, joint, and ligament in the body and is proven to be one of the most effective exercises for developing balance and coordination. 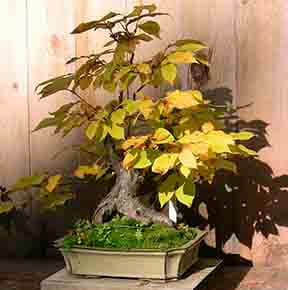 It is also a natural antidote for stress and anxiety as it enables one to slow down from today’s fast-paced world. Beginners will benefit from one on one instruction in learning the choreography of the movements as well as the principles of rooting, centering, aligning and relaxing. Advanced practitioners will benefit from more detailed refinements and a deeper exploration into the self defense applications of the form. An excellent way to unite mind, body, spirit and balance your energy. Working with partners develops sensitivity and awareness of energy. It helps one to understand the relationships of power and flow. Partner practice enables the student to increase their authentic response in a friendly and safe environment. Practicing with a variety of people in single partner and group push hands is a fun and engaging way to develop one’s skills. For more advanced levels Tai Chi Two person Set is available for study. 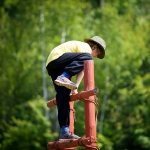 Our property is available to local or international students who would like to train in the martial arts and camp or stay in a pioneer style cabin or Teepee. 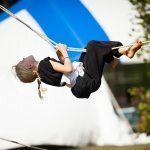 Also available to individuals or families who are looking for a unique camping or cabin experience and commune with nature in Muskoka.